In this paper we establish the general and specific frequency splitting principles in wireless power transfer and inductive near field communication systems. Frequency splitting of inductive frequency response functions is normally a result of degraded performance of wireless power transfer systems. This degradation is due to operating the system at distances shorter than the critical coupling distance. Causes and effects of frequency splitting are studied, modelled and simulated using Matlab in this paper. Hardware evaluation of split frequency phenomenon is evaluated to confirm that coupling coefficients higher than critical coupling coefficient leads to frequency splitting. The split frequencies are used to advantage as sources of multiple frequency transmissions in single-input-multiple output systems thereby leading to improved power and data transfer. An application of frequency splitting in data transfer shows improved system capacity of up to 20% when compared with straightforward resonance approach. Agbinya, J. I. (2017). Recursive frequency allocation scheme in wireless power transfer and inductive communication systems. Wireless Personal Communications. 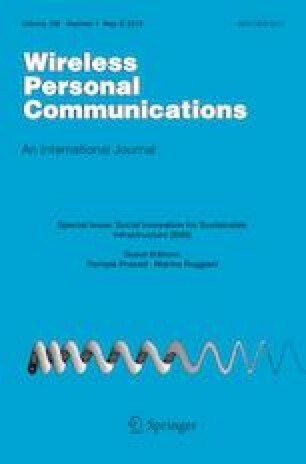 https://link.springer.com/search?sortOrder=newestFirst&facet-content-type=Article&facet-journal-id=11277. Scher, A. (2010). Tutorial: positive coupling, negative coupling, and all that. http://aaronscher.com/Circuit_a_Day/Impedance_matching/positive_negative_coupling/positive_negative_coupling.html.